After no one won the jackpot last Friday, this Tuesday’s EuroMillions draw has a rollover jackpot worth over €21 million. On Tuesday players of the EuroMillions lottery have the chance to win a massive €21 million jackpot. While the jackpot may not have been won, six players did win prizes of €226,316.90. Furthermore, 14 players won a prize of €32,330.90. A total of 41 players won €5,519.90 while over a million more players won between €4.90 and €209.30. To play the EuroMillions players need to pick five numbers between 1 and 5 and another 2 ‘star’ numbers between 1 and 11. 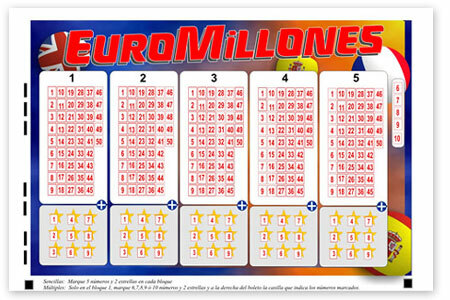 Players can enter the EuroMillions by purchasing tickets through the website. There is no limit on how many lines of numbers you can buy for each draw but each slip can hold between 3 and 5 lines. For those on the move, there is also a mobile app available where tickets can be purchased. Prizes are awarded to players that match at least 2 regular numbers and the large prizes are won by matching at least 4 regular numbers and 2 ‘star’ numbers. To hit the jackpot a player must match all 7 numbers. If you are playing the EuroMillions from the UK then you will automatically receive entry to the Millionaire Raffle draw which gives one lucky player a £1 million prize. The raffle takes place together with the regular draw, on Tuesdays and Fridays.